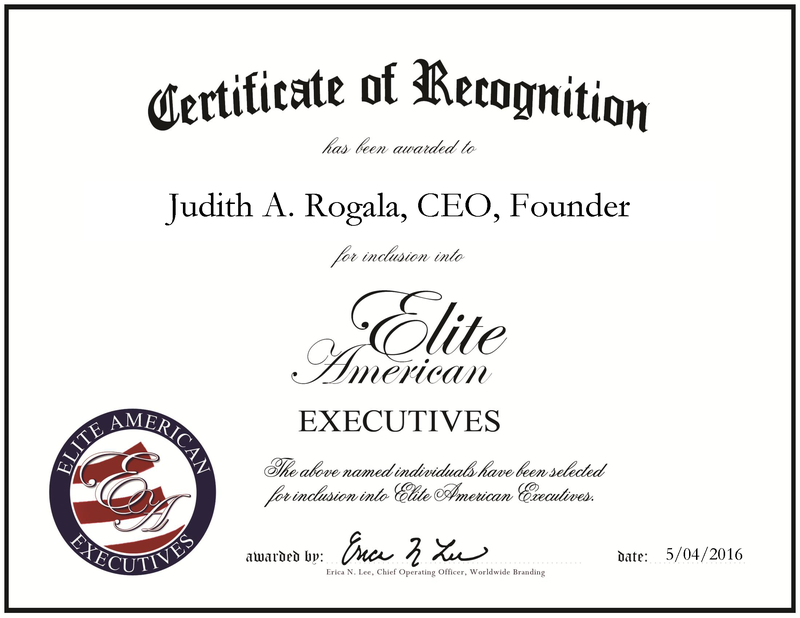 Murrieta, CA, May 4, 2016, Judith Rogala, CEO and Founder of The Catapult Factor, has been recognized by Elite American Executives, for dedication, achievement and leadership in consulting. Ms. Rogala has been a landmark executive for several decades, lending her expertise to various large companies before launching her own consulting firm. Noted for her ability to work and strategically enhance companies at some of the most challenging times, she provides her incomparable problem-solving skills to businesses and companies. After launching The Catapult Factor in 2003, Ms. Rogala has diligently worked to improve outcomes and develop individuals and clients to lead to successful performances. After graduating Roosevelt University with a Bachelor of Science, she earned an MBA in business administration and management from The University of New Mexico. Throughout her career, she has held many roles and worked for such companies as Trans World Airlines, FedEx, Flagship Express, Inc., Office Depot, Aramark Uniform Services and La Petite Academy. At these companies, Ms. Rogala is remembered for her courage and ability to develop people. Ms. Rogala got her first taste of entrepreneurship as a child when she operated a local package delivery service in her town. Prior to joining companies in high-ranking positions, she spent several years as a flight attendant for TWA. Having worked in so many different industries, she has maintained success due to concentrating on the business and lifting up the people she works with. Ms. Rogala has published a book about what it takes to be a leader with the book Trust, Inc. Together with Carol Osborn, she details the steps to building a trusting environment and making ethical decisions. This entry was posted in Consulting and tagged business administration, consulting, entrepreneur, management. Bookmark the permalink.